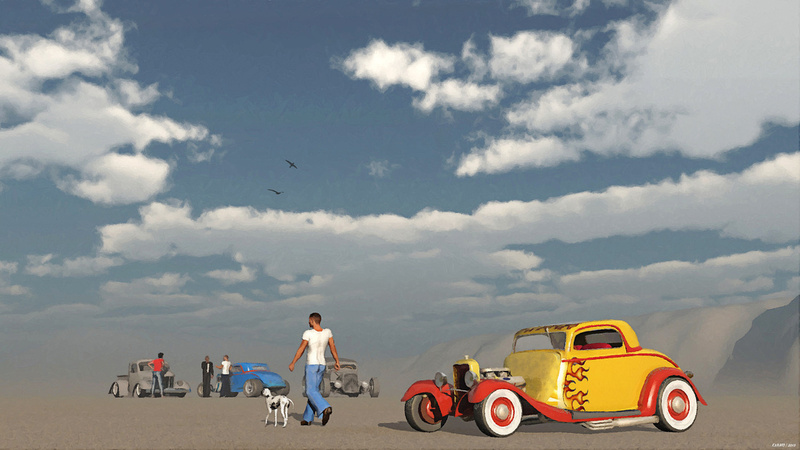 Image was rendered in Vue Complete 2014 with postwork in Photoshop Elements and Fotosketcher. What is it about cars that don't have a hood. Also those white-wall tires and red rims. Gotta love it!